Overall, the UPSC has announced it’s looking to fill 896 civil service vacancies, the first time since 2014 that the number has gone up. 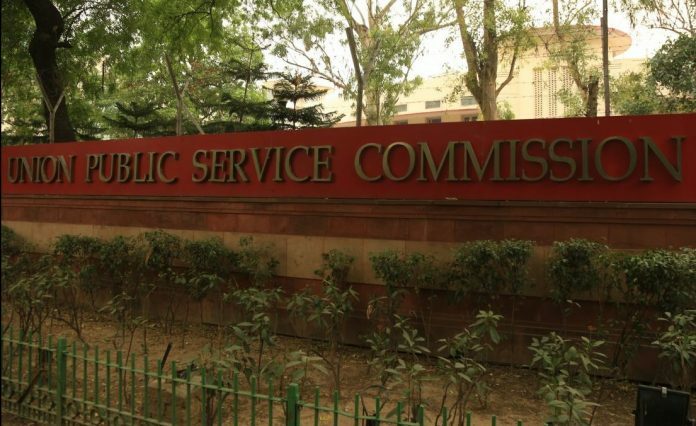 New Delhi: Tuesday’s Union Public Service Commission (UPSC) notification for the 2019 civil services examination came with good news for candidates: There are over 100 more vacancies on offer than there were last year. In fact, this is the first time since 2014, when the UPSC notified 1,291 vacancies, that the year-on-year openings have registered an increase. The exam screens recruits for the country’s prestigious civil services, including the Indian Administrative Service (IAS), the Indian Foreign Service (IFS), and the Indian Police Service (IPS). This year, the exam will help pick 896 civil servants. The number of IAS officers recruited through the UPSC in the last few years has averaged 180. The notification also announced the implementation of the Narendra Modi government’s quota for the upper-caste poor from this year’s examination. “Reservations will be made for candidates belonging to Scheduled Castes, Scheduled Tribes, Other Backward Classes, the Economically Weaker Sections (EWS) and Persons with Benchmark Disability in respect of vacancies as may be fixed by the government,” the notification stated. The Economically Weaker Sections refer to the poor among the upper castes. They are defined as households with a combined annual income of less than Rs 8 lakh, those who hold agricultural land less than five acres, whose houses are under 1,000 square feet, and who own land not exceeding 100 yards in municipal areas, and 200 yards in non-municipal areas. According to the notification, those seeking to invoke the quota will have to submit their income and asset certificate along with their online detailed applications. The date of the income and asset certificate, the UPSC stated, should not be later than 1 August 2019. The deadline for application submission is 18 March 2019. “Since reservation for EWS category candidates has been notified recently, therefore this extension for submission of certificate… is a one-time relaxation applicable for the civil services examination 2019 only,” the UPSC notification stated. Over 10 lakh students take the civil services exam, conducted by the UPSC, every year, hoping for recruitment in any of the 24 Group-A government services the test covers. According to the UPSC notification, the civil services vacancies notified this year may change if the cadre-controlling authorities tweak their requirements. For now, they mark a big increase over the 783 vacancies notified by the UPSC last year, which were the lowest in a decade. Explaining the trend, a senior government official said the number of vacancies announced every year depended on the requirement of the cadre-controlling authorities, as conveyed to the UPSC. “If the number has increased, it means the cadre-controlling authorities have sought more recruits,” the official added. As reported earlier by ThePrint, the shortage of nearly 1,500 IAS officers across the country had left many crucial positions vacant. However, the official sought to clarify that an increase in the number of recruits didn’t mean all the vacancies in top government positions would be filled at once. It was unfair, the official added, to compare the number of vacancies with the shortage. “The vacancies cannot be filled up in one go by increasing the recruitment, or it will mess up the cadre management process,” the official added. Can anyone explain about new age limits.. Agreed with same – If EWS quota has been implemented what relief is being given to general category candidates whose no of seats is decreased..anyone who applies in any category should not be able to apply under gen category and the no of attempts of gen category should be increased. Why govt is decreasing the chances of gen category…….. no one is looking on this. As of now the ratio of seats should define on number basis….whatever population is as of now the ratio should be accordingly……and this is based on 5 year population counting. For general & non ews candidates seats have reduced from 375 to 360 this year. The total number of open seats for general category has reduced .Please mention all aspects .